I conceive of and run events aimed at developing practitioners and their greater communities of practice. I approach my events as designed live experiences for transformation. 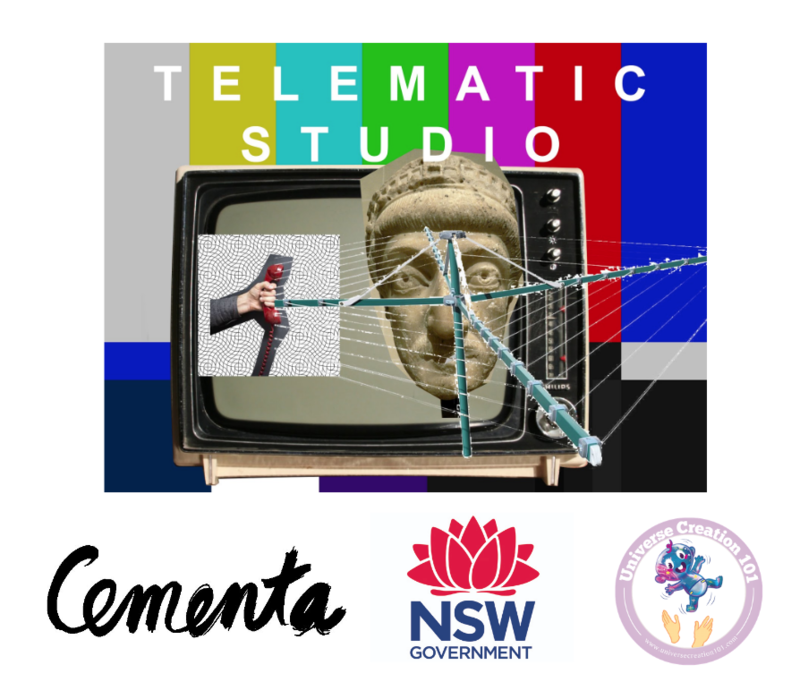 This studio is in partnership with CEMENTA Inc (Alex Wisser) and my own company Universe Creation 101. It is a remote studio experiment developing collaborative methods with available technologies, to connect artists across distances both regional and urban. Over 12 weeks, we connect fortnightly (6-8 sessions) with a small curated group of artists across Australia online. We’ll be using a co-collaborative approach, where you’ll be developing your own projects and coming together for experimental parallel ideation, talking circles, process demonstrations, artist feedback sessions, reflections, group meditations, guest artist talks on process, and playing together. The purpose of this project is to develop skills that participants can integrate into their practice and extend into future projects and working relationships. 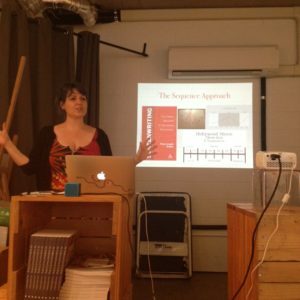 The Extended Experiences Lab is a workshop and commissioned immersive events around films. In partnership with the West End Film Festival, proudly sponsored by the Queensland Government through Screen Queensland, and Universe Creation 101, and venue partner Griffith Film School. 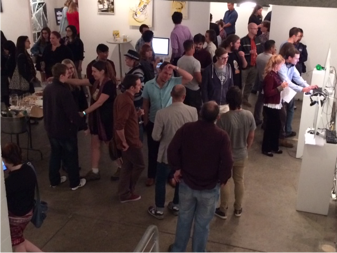 Creatives applied to participated in the Lab, and there were also commissioned creative teams to extend a selection of finalists at the festival. Those teams created a pre- or post-experience around a film. sqhub (Screen Queensland events) commissioned me to run the lab (sans commissions) again in October, 2018. The Norwegian Film School has commissioned me to run the lab for their Masters students, in March, Lillehammer, Norway, 2019. 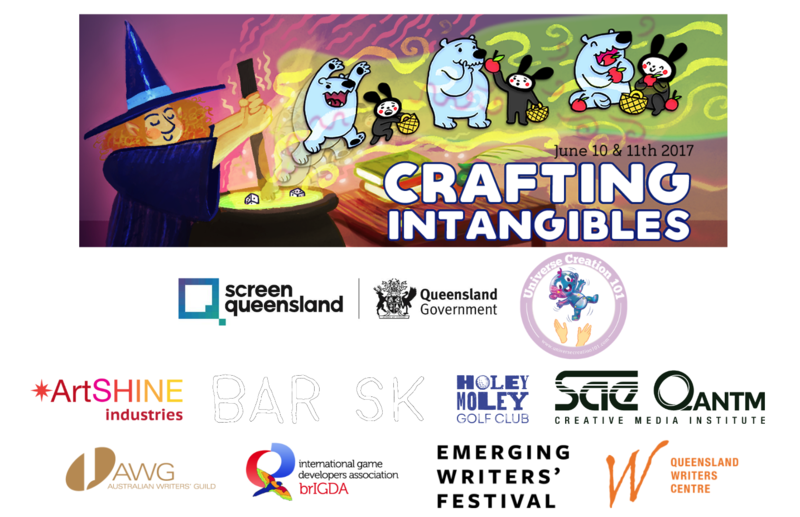 Crafting Intangibles is an online international and local event exploring interactive narrative design, held on June 10th-11th, 2017. The event is sponsored by Screen Queensland, and features some of the most accomplished and inspiring creatives who will help clarify and stretch our understanding of narrative design. Speakers included Brie Code (Child of Light, Assassin’s Creed, Company of Heroes), Peter Dunne (CSI: Crime Scene Investigation, Melrose Place, JAG), Brian Upton (Rainbow Six, Ghost Recon), Chris Avellone (Planescape: Torment, Star Wars: Knights of the Old Republic II: The Sith Lords, Fallout (2 and New Vegas), and many others. A 4 day retreat for creatives working in the fringes. This event is co-founded with Lance Weiler, Reboot Stories (USA). Our labs attract applications from all over the world and include participants from gaming, theatre, documentary, puppetry, and transmedia. 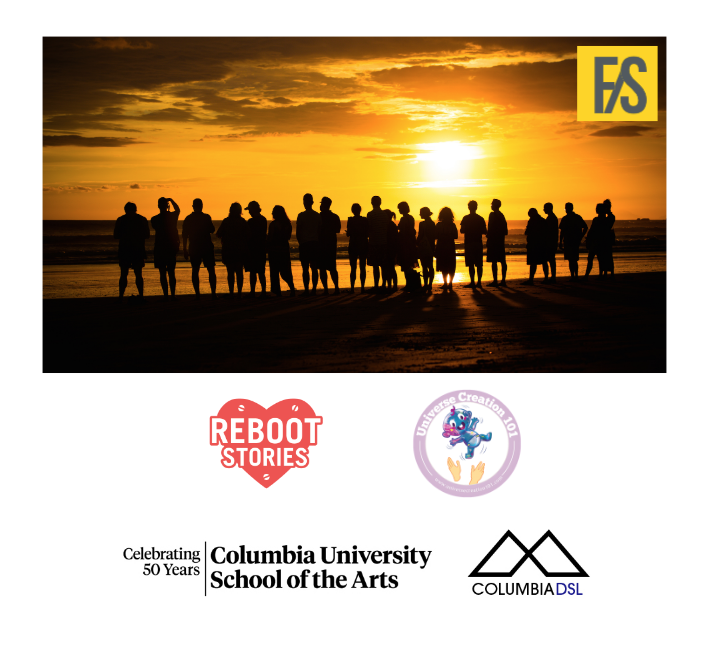 The F/S Lab is supported by the Columbia Digital Storytelling Lab, Columbia University, Reboot Stories and Universe Creation 101.
International digital games research association conference ‘wayfinding’, co-chaired with Dr Brendan Keogh and Jane (truna) Turner. Gallery exhibition of game students work from SAE Creative Media Institute, for industry outreach and authentic learning. A public lecture series where I invite game development professionals, and practitioners from film, graphic design, audio, and animation to give talk to students and industry. They are talks aimed to reveal what people really do in their work, and facilitate creatives talking about what they really want to pass on with others. Videos of some talks are available online. I was commissioned by the Australia Council for the Arts to organise and curate a special conference and workshop event on transmedia. My brief was to secure all the relevant funding bodies to support it financially (the first time they ever all funded the same event). I brought in transmedia professionals from around the world, and targeted directors, writers, designers, and producers, from film, TV, theatre, gaming, music, literature and digital sectors. I curated the audience as well as the speakers. 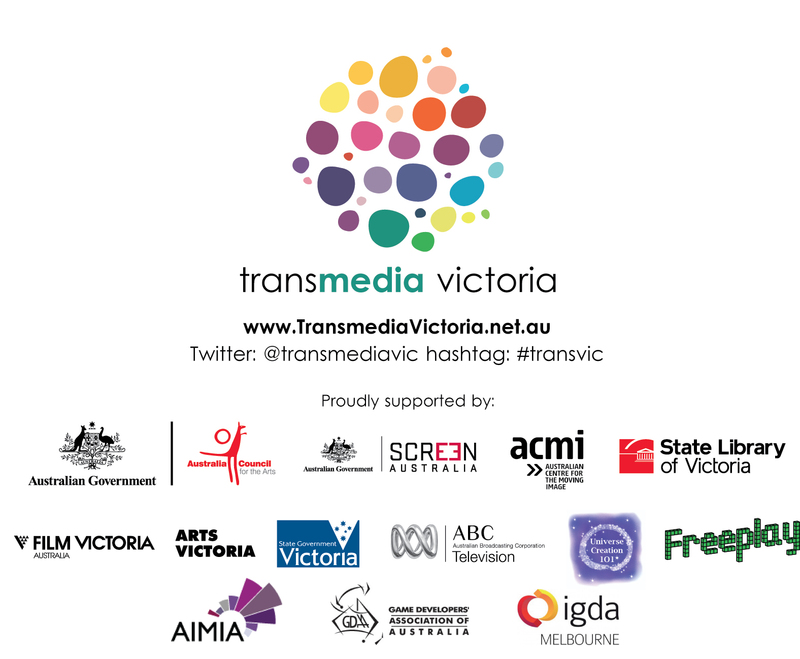 It was a huge success, along with the follow-up meetup with the Transmedia Victoria IGDA Meetup, 5th April, Melbourne, 2011. Organised the first “barcamps” unconferences for IT professionals and entrepreneurs in Australia. Lead a team of volunteers to arrange, promote and run these successful educational and social events that have since continued. It was co-organised by Russ Weakley, Mick Liubinskas, Jason Yip, Rich Buggy, Ben Hogan, Dylan, and Jan Devos; with on-the-day co-wranglers Jean-Jacques Halans, Craig Sharkie, Marin Ivezic, Radzster, Ajay Ranipeta, Martha Bishay. 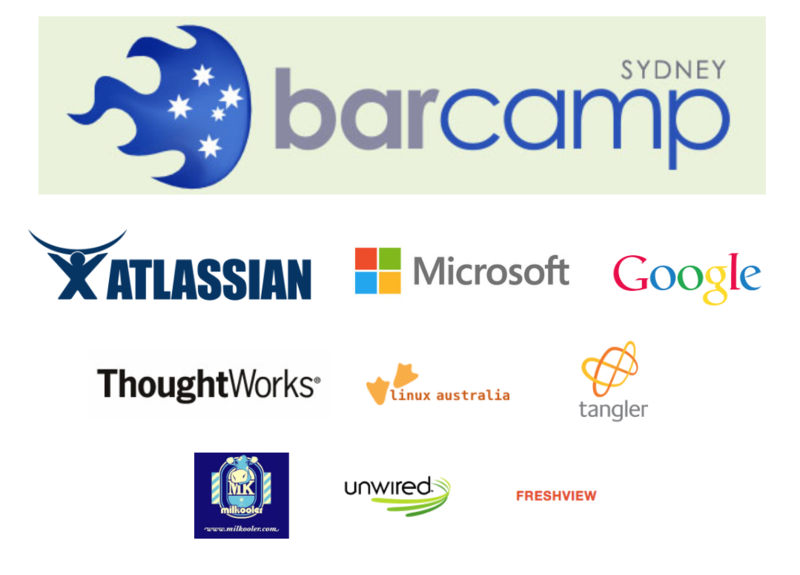 It was sponsored by Atlassian, Microsoft Australia, Google, Thoughtworks, Linux Australia, Tangler, Yoick, Milkooler, Unwired, and Freshview. Commissioned by the Australian Film, Television, and Radio School to organise, MC and present at an event designed to educate film and television practitioners about digital and transmedia entertainment. Speakers include international guests Evan Jones of Xenophile Media and Chris Avellone of Obsidian Entertainment. The Marketing Director of Yahoo!7, Cricket Wardein, and Integrated Marketing Director of Yahoo!7, Kristin Carlos, spoke about the Australian leg of the international ARG of the Lost TV series ‘The Lost Experience‘ and interactive drama PSTrixi. Glen Condie of Maverick Marketing and Communications spoke about the experiential campaigns created by his agency and Deb Polson of QUT will shared techniques she used in Scoot. Friday 24th November, 10-4.30pm, Chauvel Theatre, Paddington. 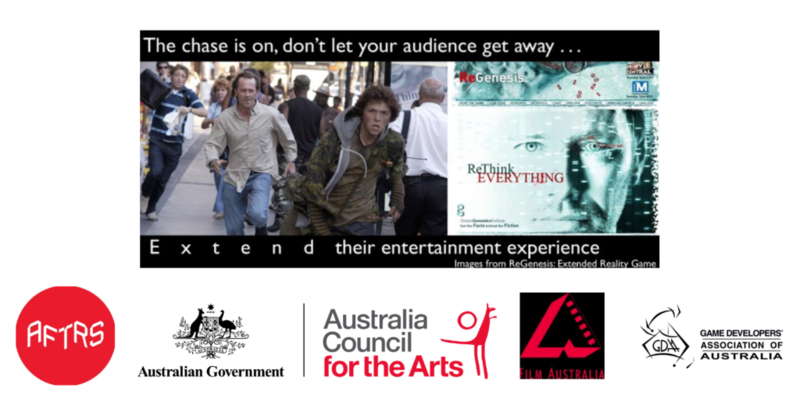 Partners include AFTRS; Australian Literature Board, Australia Council for the Arts; Film Australia; and the Game Developers Association of Australia.